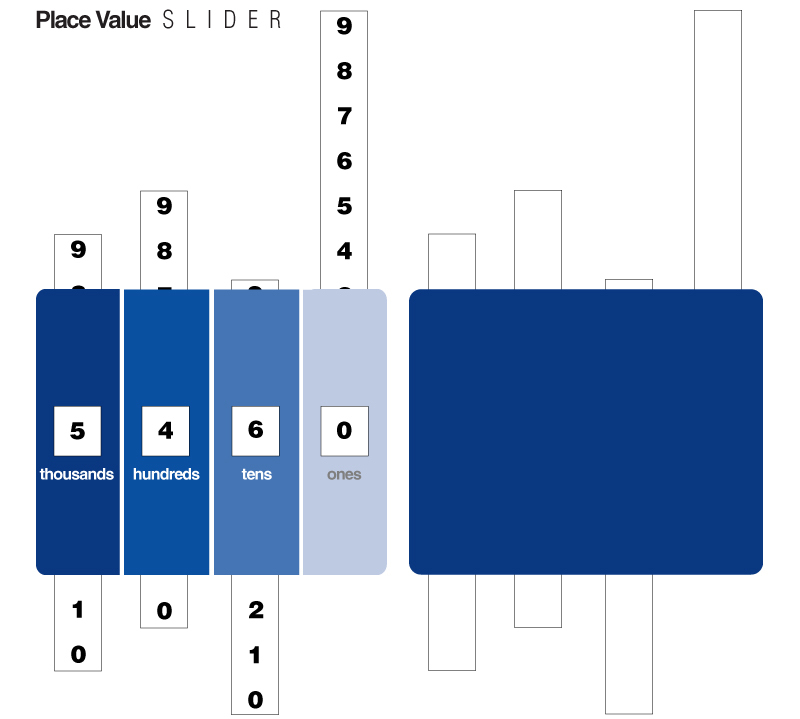 Create a place value slider: DIY teaching tool from Tattling to the Teacher! All you need are paint chips (gradient strips). Cut a square out of the center of each color and label the place value. Cut out a piece of cardstock or construction paper for the back. Staple the left and right edge of your paint chip to the heavy paper backing. After you staple the edges, staple the side of each color to create pockets for your number strips (see image below). Next, create rectangular strips of numbers 0-9 for each place value. Then, insert your strips, slide them, and create a number! 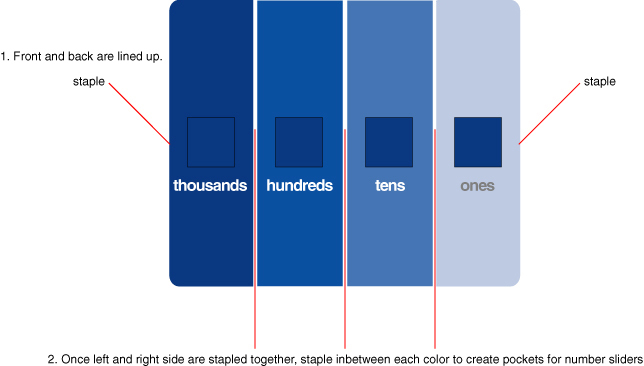 Note: For older students, you can attach multiple paint chips to create larger numbers or to incorporate decimals. Thanks for this Erin, we're going to try it!